Throw a log on the fire. I’ve spent the morning stacking timber, now I need a cooling drink. A real truth is that trees do us a great service in terms of the heat they generate many times as we harvest them. 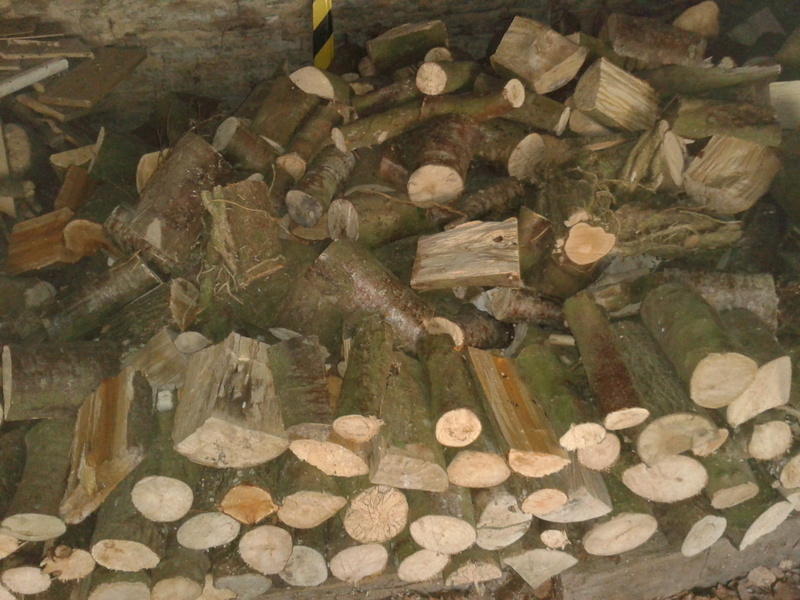 At every stage they give warmth: when felling the tree, hauling it to the cutting place, sawing and splitting it to logs, bringing those logs to the house, the welcome blaze itself and finally taking the ash from the grate. At every stage warmth is generated. Throw a log on the fire, burn another log yet. We felled the heavy tree, zounds it made us sweat. Amidst the chill and dark, they’ve warmed us times before. We look into the embers and sharpen cutting chains. We sawed it in the pit, my it made us sweat. They stare at smoke and flames, we jostle for a seat. We stacked them to the roof, oh it made us sweat. Drink good ale in winter, taste the warming liquor. The bottle soon is gone, the axe it warmed us quicker. We hauled them to the house, hey it made us sweat. Sleep by fire in winter, we’ve earned a quiet rest. Often times they warmed us, the logs have done their best. Clear morning ash away, will it make us sweat?